Seplat Petroleum Development Co. and Nigeria’s state oil company will raise $700 million for a joint gas project scheduled to start production next year as the government steps up plans to reduce the country’s reliance on oil. The project, known as Assa North-Ohaji South, is one of seven to boost gas production and infrastructure development in the West African nation, the continent’s biggest producer of crude. 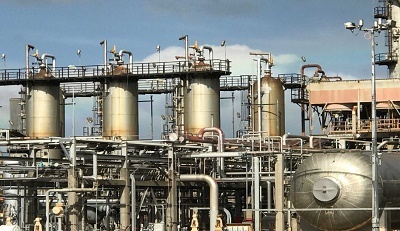 ANOH Gas Processing Co., which is owned by Seplat and the Nigerian Gas Co., a unit of the Nigerian National Petroleum Corp., will develop, build and operate the plant in southeastern Imo State. The plant, which will process wet gas from the unitized upstream fields at OML 53 and OML 21, has an initial capacity of 300 million standard cubic feet per day. It’s scheduled to begin production by the last quarter of 2020 and the first supply is targeted in 2021, Avuru said. Seplat is targeting output of 49,000 to 52,000 barrels of oil equivalent a day this year and “will probably start seeing a gradual increase in production’’ from next year on sustained expenditure and stability in the delta, he said. The energy company’s shares rose 0.6 percent to 123 pence as of 11 a.m. in London to extend gains this year to 7.9 percent. It traded unchanged at 590 naira in Lagos.